'No other option but to escape': Ahmadi Muslims, including survivor of mosque attack, find safety in Sask. In 2010, Asif Mahmood was inside one of two Ahmadi Muslim mosques in Lahore, Pakistan, that were brutally attacked. Today he lives in safety in Canada as a refugee. Asif Mahmood is lucky to be alive — let alone living in a country where he can openly practise his religion. In May 2010, he was inside one of two Ahmadi Muslim mosques in Lahore, Pakistan, that were brutally attacked. That day, 94 people were killed at the mosques. Among them were Mahmood's father, two uncles and a cousin. Another 120 were injured. "We grew up with this concept that we're not safe, anybody can actually come and attack us," Mahmood said. "So at that moment in the mosque I was going through that same feeling that we were thinking about — it's the time we are actually facing it." The shooting was spurred on by hate and legislation against a particular sect of Islam, called Ahmadi. Pakistan's constitution declares Ahmadiyya followers as non-Muslims. They can be jailed for years for simply calling themselves Muslim or performing the Muslim call to prayer, said Franz Volker Greifenhagen, a religious studies professor at the University of Regina. "You're really always disqualified, discounted and although officially there's no policy of violent oppression, it gives permission," Greifenhagen said. He said many Ahmadi have also been targeted and killed by fellow citizens who accuse them of blasphemy. 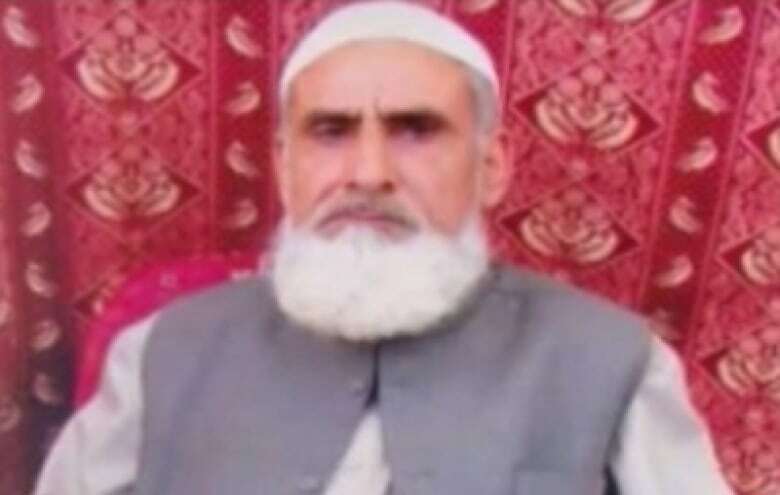 Muzaffar Ahmad, father of Regina's Asif Mahmood, was killed in a mosque attack in Lahore, Pakistan, in 2010. (Submitted by Asif Mahmood) Mahmood found his father's body the evening of the attack. He said the same pressure and feeling of insecurity continued for his family in the days that followed. "We were left with no other option but to escape from the country." Who are Sask. 's asylum seekers? Mahmood and his family were among many who made the trek to Canada as asylum seekers. According to a CBC News analysis of data obtained from the Immigration and Refugee Board through an access to information request, there were 337 refugee claims for asylum in Saskatchewan between Jan. 1, 2013 and Sept. 30, 2017. A total of 189 were accepted. The most common reason for claiming refugee status in Saskatchewan was religious persecution, a category that included 20 per cent of claims. After that was political activism, which accounted for 54 claims. The vast majority of religious claimants said they were Ahmadi Muslims from Pakistan, but there were also claims from Christians and Shia Muslims. Ahmadi claims have one of the highest acceptance rates in the country, with 97 per cent of the 1,500 claims being approved. Overall across the country, the refugee claims most likely to be successful were political or religious in nature. The high acceptance rate wasn't a surprise to Greifenhagen, who has spent years studying Islam. Aside from their genuine religious persecution, Greifenhagen said Ahmadi Muslims are a low security threat, as they have long repudiated violence. Their motto is "love for all, hatred for none," which is one of the first things Ahmadi Muslim children are taught. "Right from the beginning of the founding of this movement, [they] have actively dissociated themselves from gaining their objectives through militancy and violence and so on," Greifenhagen said. 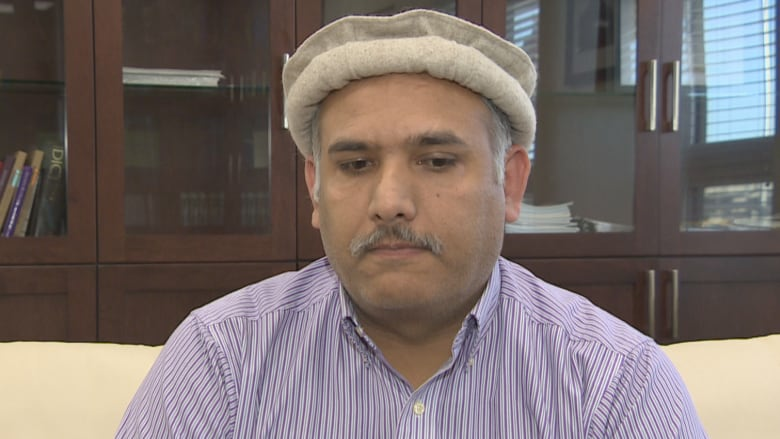 It took a while for Mahmood to recover from the attack at the mosques in Lahore, but eventually, he and his family packed up for a better life in Canada in 2014. Mahmood, his wife and their two kids, and his elderly mother made their way to Saskatchewan. He said the first thing he did when he arrived was head to the mosque to pray — which was a moment of relief. "Everybody was there doing what they want, like calling the prayer and offering the prayer. [They] were not having any pressure or insecurity that we might be under attack," he said. Over a Tim Hortons coffee on Friday, Mahmood said he's enjoying his life in Canada, working in his field as an IT technician and adapting to the cold. In Pakistan, he said the temperature was more like 40 C, compared to –40 C in Saskatchewan. "But the benefits of being here are so great, that this problem is not a problem," he said. He said only his mother, now in her 70s, is struggling to adjust. She left behind everything she knew in Pakistan and doesn't speak English. But still, he said she would rather have her children here and safe. He's also hoping his siblings will join him in Canada. In the meantime, he's simply grateful. "I'm extremely happy. I'm extremely thankful to God, thankful to Canada," he said. "I felt like I should have been born here rather than in Pakistan." 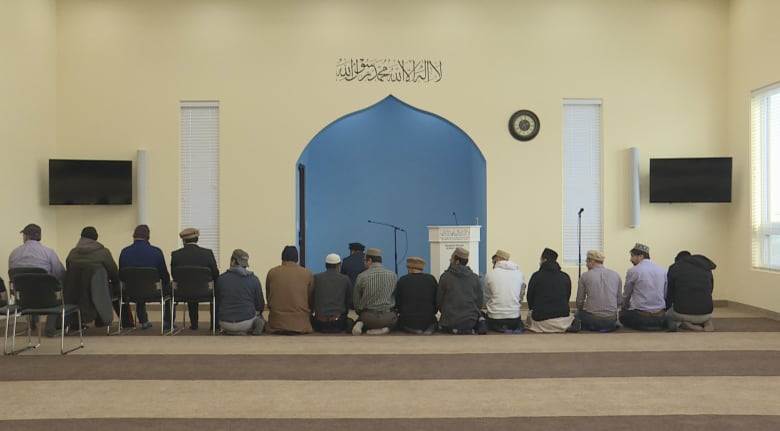 Ahmadi Muslims have been involved in the Saskatchewan community, donating to Regina's food bank, gathering hundreds of volunteers to build their new mosque, and seeking political office. 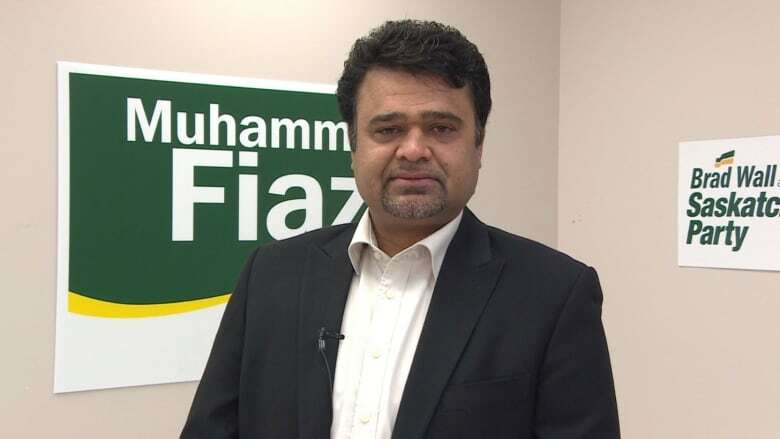 In 2016, Muhammad Fiaz was elected as MLA for the newly established constituency of Regina Pasqua. He was the first Muslim ever elected as an MLA in Saskatchewan, and is also Ahmadi. He immigrated to Canada in 1995 and worked as a driving instructor with Saskatchewan Government Insurance. Though he was an immigrant, he said his family still calls themselves refugees. "Because Canada gave us refuge," Fiaz said. The turmoil for the family Fiaz left behind in Pakistan continues today. Just three weeks ago, he said his brother was attacked and gunned down. Luckily, he survived. "This is what makes Canada the peaceful country, and everyone knows that.… Canada loves peace around the world. Canada accommodates people around the world with open hearts," Fiaz said. Running for office in 2014 was something he didn't consider in Pakistan, as he wasn't even allowed to vote due to his religion. But in Canada, running for office was his right. "I can tell you it's a paramount honour and once you're getting that honour, you've got to give back to the community the same way," he said. There is also structural evidence of the growth of the province's Ahmadi community. Later this year, Saskatchewan's third Ahmadi mosque in three years will open in Saskatoon. Regina's first mosque, built from the ground up, was inaugurated in 2016, as well as Lloydminster's first mosque. Saskatoon's will open later this year, with enough room for 2,000 worshippers, making it one of the largest Ahmadi mosques in the country. This data in this story refers to refugee claimants, or individuals who have made a claim in Canada for refugee protection. It does not include government- or privately sponsored refugees. The data refers to IRB decisions and not necessarily individuals. The Immigration and Refugee Board sometimes makes more than one decision for the same individual. The country and cause of persecution refers to what a claimant initially tells an immigration or border services officer when they first make a claim. The information can change as a claim progresses through the system and those changes are not captured in this data. Acceptance rates are calculated by dividing the number of positive claims by the total number of positive and negative claims. It does not include abandoned, withdrawn, or administrative claims, or cases in which the claimant died before the case could be decided. There are many factors that impact a claim decision, according to Melissa Anderson, senior communications advisor for the Immigration and Refugee Board of Canada. Some of them include the claimants country of origin, their ethnicity and their grounds for need of protection. To see our full analysis and download the raw data, go here. Micki is a reporter and producer at CBC Vancouver. Her passions are municipal issues and water security.